All Products > "5500158 Seagull Westland Lysander III (SEA-216)"
Even at the time of its maiden flight in 1936 Westland�s answer to the the 1934 Air Ministry specification that called for an army co-operation and liaison aircraft was, to be honest, looking rather dated. 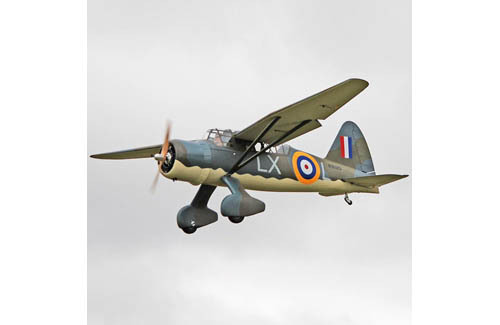 Even so, with its fully automatic wing slots, slotted flaps and variable incidence tailplane the Lysander was aerodynamically advanced, offering its pilots a stall speed of just 65mph and an enviable STOL capability. 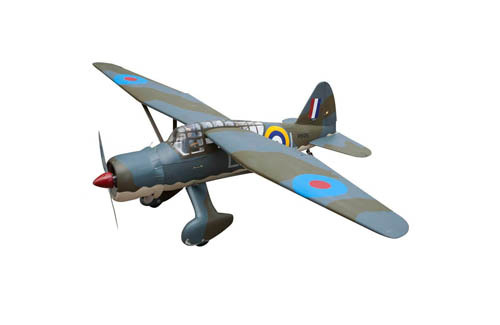 So it was, then, that the Lysander beat Bristol�s Type 148, won the contract, and entered the popular annals of history. 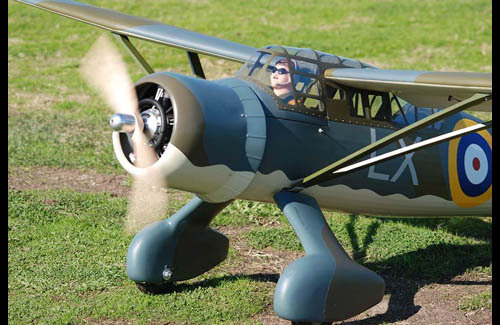 Rugged, gull-winged, bespatted, and powered by Bristol Mercury radial, this ugly duckling of a warbird was destined only to endear itself to all who clapped eyes on it, and so it is with Seagull�s carefully considered 50cc facsimile. It�s a beauty! Presented in the eye-catching colour scheme of LX-L, a Lysander III housed at Hendon�s Royal Air Force Museum, this 118� span high quality balsa / ply ARTF comes factory covered in genuine matt finish Oracover film and features a detailed cockpit, two piece plug-in wings (to simplify transport and assembly) and, crucially, all the necessary hardware for either glow or electric power. Take it from us, this model flies in a wonderful scale fashion and will happily cruise around performing gentle circuits and bumps all day long. Add flap, dial in a little elevator compensation, and the STOL characteristics of the full-size really come to the fore. All-in-all a gentlemanly aeroplane in every sense but with the benefit of coordinated aileron / rudder turns to keep it real and maintain the challenge. Wing Area: 1471 sq. in.